Situated a 10-minute drive from Bangkok City’s Huamark Airport Link Station, this hotel features an outdoor pool and a 24-hour café. 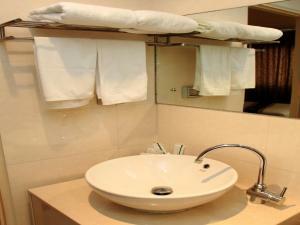 Offering a modern Thai décor, Wi-Fi accessible rooms feature a flat-screen TV with cable channels. Summit Pavilion Hotel is a 20-minute drive from Paradise Park and Seacon Square Shopping Centre. 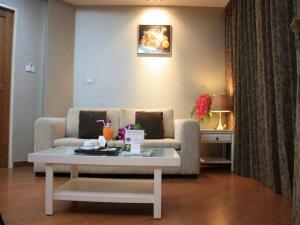 It is within a 30-minute drive of Central Bangna and Suvarnabhumi Airport. Fitted with wooden flooring and a seating area, spacious air-conditioned rooms offer coffee/tea making facilities and a minibar. Private bathrooms come with hot shower facilities. Guests can head to the games room to play a round of billiards. Alternatively, they can sing karaoke or have a rejuvenating Thai massage. Summit Pavilion’s 24-hour front desk provides laundry, luggage storage and airport shuttle services. Safety deposit boxes are also available. On-site parking is free. Open round-the-clock, the café serves international, Thai and Chinese dishes from the Canton province. Room service is also available. Fitted with wooden flooring and a seating area, this air-conditioned studio offers coffee/tea making facilities and a minibar. Private bathrooms come with hot shower facilities. Rate: THB 1500.00 ... THB 1900.00; select dates below to get current rates. Features new furnishings, rooms are fitted with wooden flooring and a seating area. 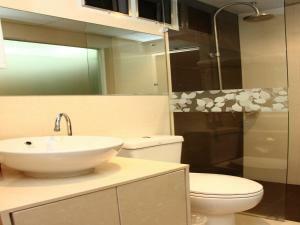 The air-conditioned suite offers coffee/tea making facilities and a minibar. Private bathrooms come with hot shower facilities.